On the weekend of November 19 & 20, the Chicago Toy & Game fair was held at Navy Pier and hundreds of different toy manufacturers were on hand to promote their new toys and give everyone a sneak peek at what will be hot this holiday season. If you were unable to attend, don't worry, Fandads was on hand to see all the great toys and I even brought my professional toy tester, my daughter, with me to partake in the festivities. Happy Thanksgiving from the Fandads. We are very thankful for the exciting past few months. 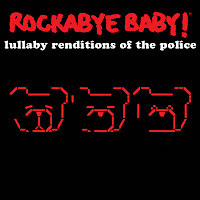 We saw our first sponsored giveaway from Rockabye Baby and from the Chicago Toy & Game Fair. We also want to say thanks to all our friends and family that have supported the site. We have a couple of interesting stories coming soon, including my mini adventure with the Chevy Sonic I was given for three days through Klout. 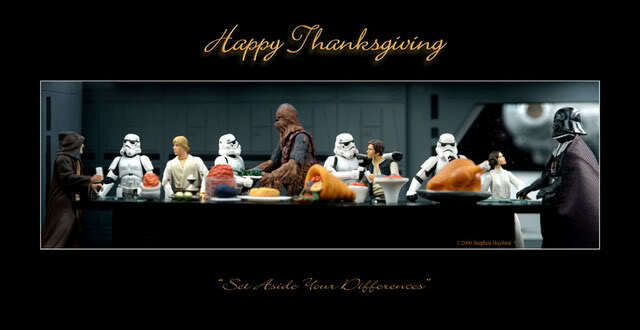 Thank you all very much and enjoy your Thanksgiving with your families today. One movie coming out next year, that we can not wait for is The Avengers. This week we saw the release of two banners that showcase the main characters of the movie. Take a look and tell us what you think. 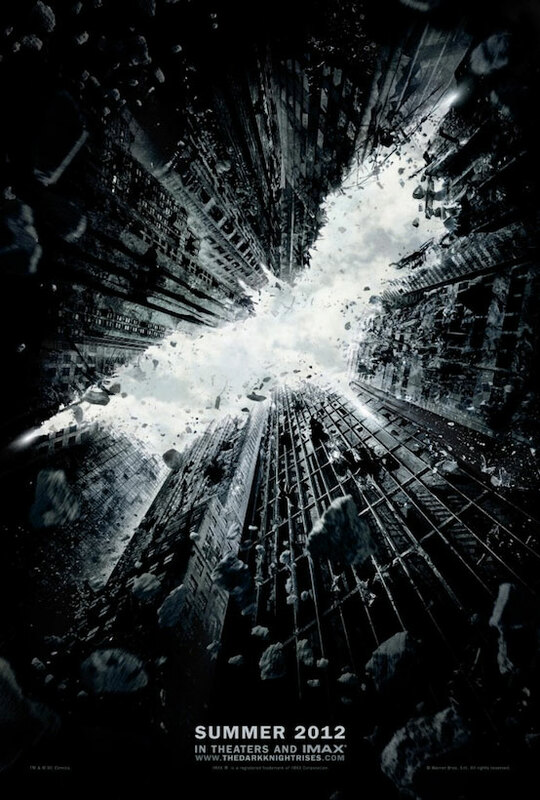 The nominees have been announced for Spike TV's Video Game Awards and the two games with the most nominations are Batman: Arkham City and Portal 2. Both games are going head to head in the Game of the Year category along with The Elder Scrolls: Skyrim, The Legend of Zelda: Skyward Sword, and Uncharted 3: Drake's Deception. 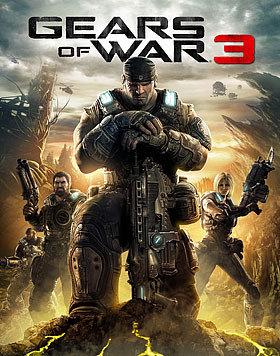 Gears of War 3 for Best Multi-Player game. Jetpack Joyride for Best Handheld/Mobile Game. 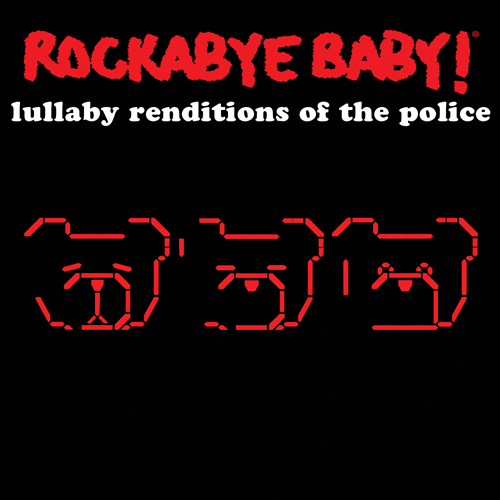 "Exilke Vilify" by The National (Portal 2) for Best Song in a Game. Head on over to the VGA website to see the list of nominees and vote for Most Anticipated Game and The Gametrailers.com Trailer of the Year. The Video Game Awards will air on Spike TV December 10, 2011. Check your local listing for showtimes. Time to Play and have Fun!! Updated Again! Next weekend Navy Pier is hosting the Chicago Toy & Game Fair and Fandads will be there to preview all the upcoming toys and report it back to you. This will be a great opportunity for us to see what the hot toys will be this holiday season and also talk to the manufacturers/inventors of these new toys. Tickets for the show are: $5 for children (3-13) & $10 for adults. Complimentary admission is available to Educators, Military, Police Officers and Firefighters (with ID). Star Wars fans on Saturday there will be a Star Wars Breakfast with members of the Star Wars 501st Legion: Vader's Fist at 9am and there is still time to register for it. Pricing for this is $30 for children (12 and under) and $36 Per adult. These prices include one day admission to the Toy and Game Fair, giveaways from Hasbro and Top Trumps, breakfast and photo opportunities with the 501st. We are currently trying to see about getting passes to give out to our readers, so stay tuned for that information. Great news Fandads! Want to attend the show this coming weekend? We have two offers for you. We are giving away a family pass to the Chicago Toy & Game Fair to one of our lucky readers. To win this pass, just leave a comment below telling us what you're excited to see at the fair and we will choose a winner by 5pm on Thursday, Nov. 17. 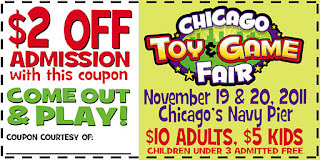 In addition, we have a $2 off coupon available for you to print and take to the show courtesy of Fandads and The Chicago Toy & Game Fair. Click on the coupon or the link below to get your coupon and we'll see you at the fair. Updated Again! We asked and were given the okay to give out a few more passes. We will give two passes away on the website. Just leave a comment saying what you're excited about seeing at the show. Also, if you are a fan of our Facebook page, we are giving away one pass on there. All you have to do is like ChiTag's page and leave a comment telling us you "liked" them. Winners will be chosen on Thursday November 17, by 5pm. 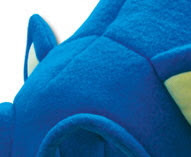 A few months ago we hinted at a contest with everyone's favorite speedy blue hedgehog and it was kind of left on the back burner. With the recent release of Sonic Generations we have decided to bring back this contest and make it, like Sonic, fast and easy. "What do I have to do to win?" Simply, leave a comment stating why you are Sonic's biggest fan in five words or less. Winners will be chosen by next week Nov. 19, so get those thinking caps on. Here's a small hint at your prize and with winter time coming up your head will thank you for it. 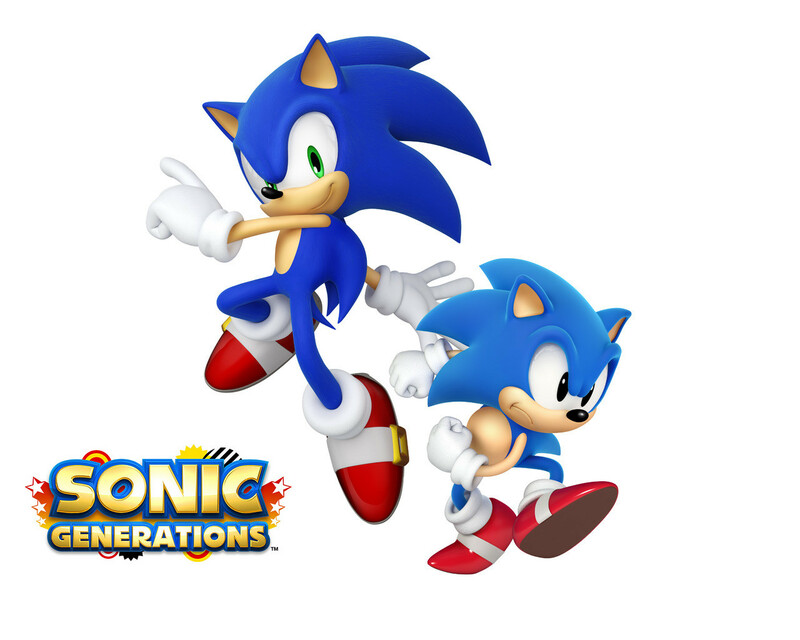 Sonic Generations is available on Playstation 3, Xbox 360 now and on the Nintendo 3DS November 22. Snow White and the Huntsman Trailer. I do admit that the images that have been released for this movie had me intrigued. The more pictures that they release for the movie the more my interest is peaked, but now with the first trailer out I think that I am sold. This looks great and I can't wait to see this! Snow White and the Huntsman is scheduled to release this summer. Today was the big day for the reveal of the new installment of Rockstar's Grand Theft Auto series: Grand Theft Auto V. While there will be a lot of speculation about who the main character/characters are, it seems like this world is huge just like in Grand Theft Auto IV. Here is the trailer enjoy it and let us know what you think. Star Wars; The Phantom Menace in 3D. Will Meesa Like? Anyone that knows me knows that I am a huge Star Wars fan and I am a little excited to see these, but I do have my reservations about the new 3D conversions coming out. While there are some cool scenes in Phantom Menace that would be great in 3D, I'm not so sure how the rest of the movie will play out. Needless to say, I will go see this at the theaters when it's released next year. The one cool thing about the re-release is that now I can bring my little girl with me to see Star Wars at the theaters. Are you excited for the 3D release or going to see this version? Star Wars: The Phantom Menace will release on February 10, 2012. Click the link above to go to IGN for more information about the 3D releases. There are so many great father blogs out there that it's impossible to visit all of them, but we have decided to highlight a few of our favorite ones and share them with our loyal readers. Now this is not a "best of" or "top five" type list, this is just a few blogs that we like reading and want our readers to know about. Check these guys out when you can and let them know that The Fandads sent you. 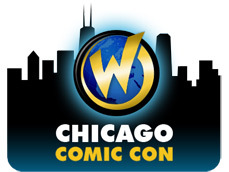 Over the weekend I went to Wizard World to see some celebrities and buy some comics. While I was there I looked around to see what I could get for my little girl. She likes Yo Gabba Gabba and Sesame Street so I went to the Stylin booth to see what kind of T-shirts they had. While looking around I found the perfect shirt for her. With the Comic Con starting today I have decided to give a list of my ten favorite moments of going to the con. I've been attending Comic Con since my grade school days and I always had fun. Hopefully, my memories will inspire you to share some of your favorite memories with us. Is anyone else as excited as I am for this game to come out? I already have my copy pre-ordered and I'm just counting down the days. Who else is getting this and for what system? Just in case you have never seen the reveal trailer, here it is. New Beginning and a First Look. Updated! This has been a great week so far for fans of comic books and comic book movies. Earlier this week the internet went crazy with the reveal of the new Spider-Man, Miles Morales and today we get the first look at Henry Cavill as Superman in Zack Snyder's "Man of Steel". Check out the images and tell us what you think. Updated: First image of Anne Hathaway as Catwoman. Over the weekend at comic con Marvel unveiled new posters for the Avengers movie coming out next May. These posters show each Avenger in an action pose, some with new costumes, but when placed together they form a cool team shot. What are you thoughts? Now the Walking Dead was a series that I did not read from the beginning. 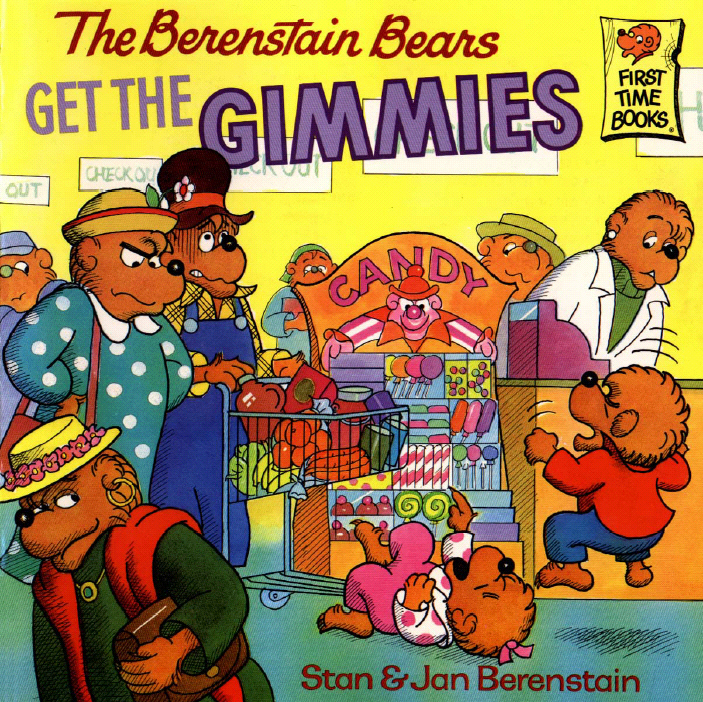 I think I really started reading it a few years ago and I was hooked. I began buying the books and trying to keep up, but I can tell you that the show is amazing even if you never read the comic. Season two begins in October and I will be counting down the days. Watch it and tell me it doesn't send chills down your spine. Now I have been a Star Wars fan since I first saw A New Hope thirty-something years ago and I always remember seeing images of scenes that were not in the movie. I remember seeing the trailer to Empire Strikes Back and there was a scene with C3-PO removing a warning sign from a door. Later I found out that that room housed Wompas and by removing the sign the stormtroopers walked into that room and were ambushed. Why wasn't this in the movie. Well, hopefully we'll be able to see that scene and various others in the complete blu-ray edition coming out this September 16, 2011. In the meantime we have this trailer to hold us over. I can't wait and I already pre-ordered mine. This does look interesting. What do you think? Quick Update on What's Happening. Sorry about the delay in postings, but Gil and I have been really busy these past couple of weeks. We are both taking summer classes and our course load is a little heavy, so we've been behind in putting up new content. Do not fear, we do have some stuff we are working on and we have a new Fandad that has joined the family. He will introduce himself in the coming months when his little girls give him the chance to use the computer. I still have to give my opinion on the "Death of Spider-Man" and put up some video game reviews of games that I have been playing. 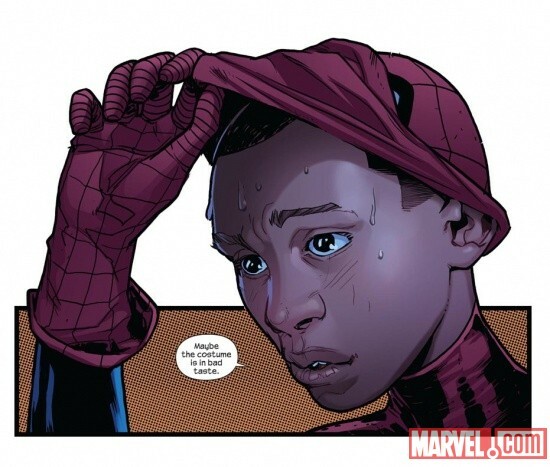 We also are going to try to do some weekly postings, like "Video Game Time" but maybe focusing on comics (I mean, we do read comics, after all) and maybe highlighting some of the other blogs that we read. Thank you for visiting us, supporting our page, and don't forget to "like" our Facebook page when you get a chance. 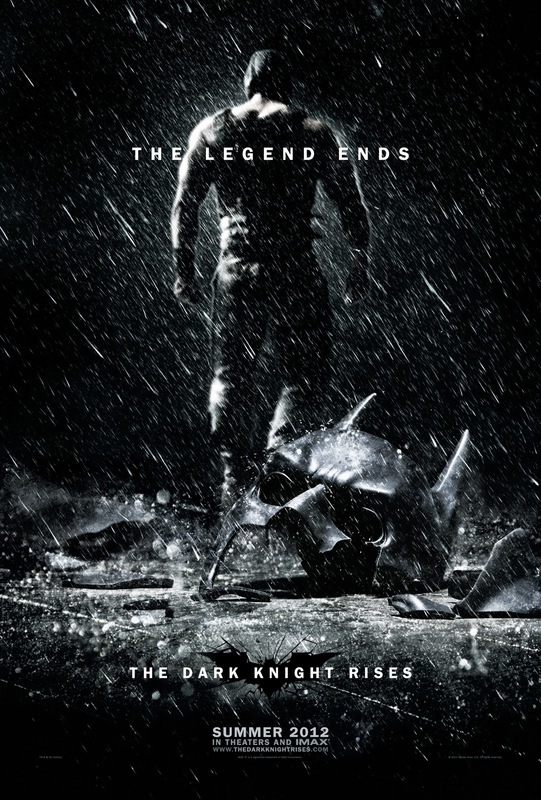 Although we have to wait another year for The Dark Knight Rises to be released this poster already brings up a lot of questions. Rumor has it that the first teaser trailer will be attached to Harry Potter and the Deathly Hallows Part 2. Let's see if this is true. In the meantime enjoy! 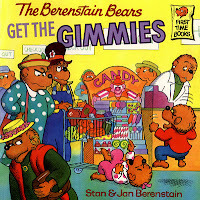 Now that my little girl is almost approaching two, she has already begun with the tantrums. Now, I know that this is a normal stage in growing up, but is there a right or wrong way to deal with them? If you remember I put up a post awhile back about how I was trying to get myself in shape for the Warrior Dash that took place on June 19th. A little more than a week later I filled you in on my progress and started to worry and second guess my attempt at completing this obstacle course. Well, it's be over a week and let me tell you that I survived and it was a great experience. So Morgan from The Little Hen House has posted a fun Blog-Hop called "I'm a Celebrity Look-Alike" and while reading this I noticed that there were no dad bloggers represented. I started to think about some celebrities that I've been told I look like and these are the two that I constantly hear. This week we have the continuing saga of Point-man, a man's journey to hell to save his girlfriend, a new co-op fantasy game and another movie tie-in. We here at Fandads would like to wish all the fathers out there a Happy Father's Day and thank you for all the support in our first year here. Being a father is an amazing experience and everyday it just keeps getting better. As we grow as fathers we remember words of advice that was handed down to us by our fathers and famous fathers. Below is a small list of famous fathers quotes, feel free to add your favorites in the comments below. 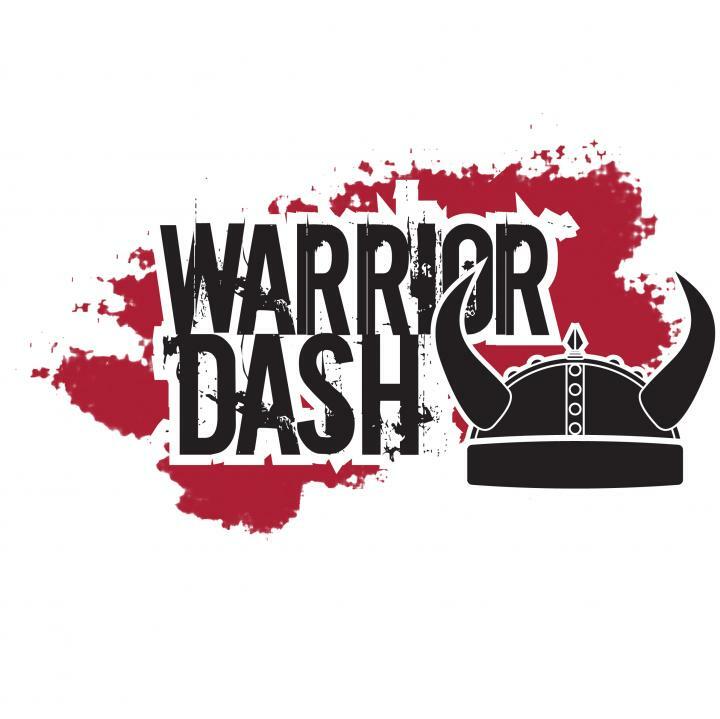 Well, there are two days to go before the Warrior Dash and I haven't really had that much time to work out for it. Am I ready? Who knows, but I am going to try my best. Video Game Time 6/14 Edition with Bonus!! This week we get a couple of classic franchises returning and a movie tie-in that looks pretty good. Last year after the Electronic Entertainment Expo, Jimmy Fallon dedicated an entire week on highlighting some of the biggest games that were announced and revealed them on his show. This year he's doing it again and he chose some great titles to highlight each night. As many of you know by now, I am participating in the Warrior Dash on June 19th. Now while I am not in peak physical shape, I am in decent shape and have decided to start working out so I won't embarrass myself doing the dash. I thought of a few ways to get in shape and I decided to share them with you, our loyal readers. Remember, I am not a professional trainer, I'm just a fandad. Many new games were announced these past few days at E3 and be sure to read our post about some of these titles. We have a few items to giveaway, but we are trying to create a contest to give these items to our readers. Here's a sneak peek at one of next weeks releases. Can you guess what game it is? Hey everyone, I'm busy being more of a dad and less of a fan, but I was able to watch the Microsoft special today and I just wanted to touch on a few of the announcements/demos while the little monster angel is taking a nap. So, the most exciting news has to be the remake of Halo in HD right? Oh wait, how about official confirmation on another trilogy of Halo games. Awesome. The Kinect demos were quite impressive, the games looked interesting and it actually looked responsive. I might have to cough up the dough and get one this summer. I was especially intrigued about being able to scan in objects and use them in the virtual world. Baby Serafina in a fighting game? Yes please! How would you feel about getting beat up by a ten month old, lol. Throw yourself in Halo and those post victory umm...let's say cups of tea, start feeling just a bit more uncomfortable. I really liked seeing how the voice recognition stuff worked, the Ghost Recon demo using Kinect was awesome. I'm sold. Modern Warfare 3, Gears of War 3, the New Tomb Raider, lots of stuff was demoed. The new Fable game didn't do much for me, but we'll see how it turns out. Well, E3 has just begun and if you asked me it started with a bang, can't wait to see what else these brilliant minds have in store for us. Oh by the way, is it a good thing that names like Peter Molyneux, Cliff Bleszinski, and Dan and Sam Houser are like household names to me now? Have fun with all of the E3 news! The PlayStation Network is back online and there are a bunch of new downloadable games, demos, add-ons available for you to purchase. The "Welcome Back" package is not available yet, but will soon be. In the meantime head over to the PlayStation Blog to see the entire list of content available. Now I can finally download my Mortal Kombat and L.A. Noire pre-order exclusives. The Welcome Back package is now available. 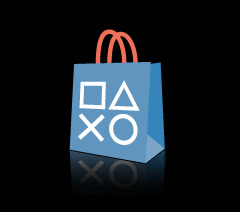 Head to the PlayStation Blog for details on how to get your free games. These are the new releases for the week of 5/31. It's a slow week for game releases, but next week there is one release that I'm pretty excited about. Can you guess what game this is? Fandads do not just play video games all day! Being athletic is one thing that people don't associate with being a fandad. Most times when people think of fanboys/fandads they visualize overweight guys with thick glasses sitting at home playing video games or reading comics all day. That is not the case. Most fandads that I know are active and in good shape and are always looking for something to do to keep them and their little ones busy. What I have decided to do is list a few upcoming events that might be or interest to those fandads out there looking to relive some glory days. These are the new releases for Tuesday May 24. Dead or Alive Dimensions - The popular fighting series in 3D on the 3DS. Currently playing LA Noire and need to get a few more hours in to give it a full review, but liking it so far. The Restructuring of Video Game Time. I know that Video Game Time has been kind of on a hiatus for some time and it's not for our lack of putting it up. Lately, there has been a lot of great games coming out that it's hard to keep track of all of them and reviewing them in a timely manner. So after much thinking about it, I've decided to change the way we do video game time in the future. Welcome back Sony! A fandads take on the fiasco. Ok, the PlayStation Network was down for 24 days. 24 Days! To some that seems like an eternity, for me it was more of an annoyance than anything. The network was taken down due to some "security issues" then promises were made, information was compromised and dates for the network to be up and running again came and went. I know that there is more to this story, but I'm just giving you the abridged version. What was a fandad to do? I know I've ranted about this before, but I'm going to do it again, so BACK OFF! Lol. I think I'm going to stick to movies and DVDs from now on. No more watching crap on tv, I'll stick to whatever I'm currently watching, wait for that to get cancelled and/or end and that'll be it. I was upset that Terriers got pulled, and now they're pulling The Chicago Code. I also thought that Mad Love was pretty funny, even though Jason Biggs gets on my nerves, and Lie to Me was friggin' awesome. All gone. I was especially invested (vested?) in Lie to Me, the other two shows were only one season but Lie to Me had a great cast and it was interesting and different. Outsourced was funny, but it was kind of expected, no big names other than "Oswald". America's Most Wanted, it's been cancelled before so maybe it'll come back, Friday Night Lights was excellent, but it was cancelled a while ago, luckily it'll get a proper ending. That's what bugs me the most, the lack of closure on some of these shows. Take Smallville for instance, started out great, sucked for a while, admittedly, I stopped watching, and this last season was pretty awesome. 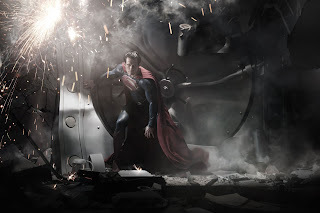 I'm not even that much of a Superman fan, but the show did his mythos justice. He should totally play Supes on the big screen. What makes matters worse is the stuff they keep. Does the world really need three CSI's? Cougar Town? Glee? The Cleveland Show? Speaking of which, I like McFarland, to a point, but the reboot of The Flintstones is just a bad idea I think. We'll see. Anyway, I'm ranting, and although there are still a lot of good shows continuing to live on, it's going to take a lot to get me to watch a new show. Here are a few words from Kazuo Hirai about the re-launching or the Playstation Network. What do you think of this message? Is this enough to make up for the weeks of no service? Let us know what you think. We here at Fandads have been able to get our hands on a few more codes for the Gears of War 3 beta. How can I get one you ask? Well, this time it will be a little different than the last contest we held and you'll have multiple chances to win. Each way listed below counts as one entry, doing them all gives you three entries to win. Leave a comment below as to why Gears 3 will be the best Gears game ever. Winners will be announced by midnight tonight, so get going and tell your friends and we'll see you on the frontlines. Thor was pretty good. He's never been one of my favorite characters but I am familiar with his mythology and in my opinion they did a great job of telling his story. Loki was good in the movie, as was Odin. Sif, Volstagg and the other warriors were also prominent in the film. (I did have a problem with an aspect of Loki's character but I won't mention it as it may be a spoiler) It does a fair job of tying the story into the Avengers and SHIELD, and a character or two make cameos and are mentioned, but I think that it was probably geared more towards people that don't know much about Thor. I guess every first movie is, Spider-Man, Iron Man, they all have to give the origin story for the benefit of those who aren't familiar with the characters. The effects were great, I especially liked how they weaved the Hubble Telescope pictures into the film. I watched it in 3D IMAX, although I really can't say it did much for me. I guess the 3DS has made 3D kind of novel for me at the moment. Overall, I definitely would recommend this movie for comic book fans, and it's probably a decent watch for action fans. It's not going to be in my top ten superhero movies, but it's definitely not in the bottom either. Afterwards, my friends and I hit Buffalo Wild Wings and had some grub and a couple of beers. It was my first beer in several months. Crazy. My baby girl is nine months old, and in that time I've gone out probably a handful of times. You've got to try to make time for yourself or you'll go nuts. This was a good chance for me to catch up with old friends and blow off some steam, I actually felt like a real live person for a while instead of just a dad and a student, heh. Not that I'm complaining, I'm getting too old for the clubs and bars, but every once in a while it's fun to just have a day to yourself. Let's talk about the Nintendo 3DS. I know it's been out for a while but I wanted to spend a little time with it before I posted my review. Let's start out with the basics. It costs as much as a console and it doesn't come with a game. Ouch. Sure, it has AR Games, A Mii game, and Face Raiders, but I'm not sure if it's enough. Now, I'm upgrading from an old DS so I'm not sure what was on the DSi but the camera, activity log, recorder and pedometer are all new to me and fun additions. It's pricey but it kept me busy until I was able to purchase a game a few days later. As I am sure you've all heard, Osama Bin Laden is dead. The Fandads would like to take a moment to say thanks to all of the brave dads, moms, women, and men bravely serving our country and doing us proud. We can all sleep a little bit easier tonight. In video games when a character gets hurt they lose a bit a stamina or a bar of health. The same could be said about comic book characters, they are usually well by the next page or last panel. Unfortunately, this is not the case in real life, when someone gets hurt or has an accident there are bruises, crying and a lot of screaming. If you follow us on Twitter (@fandads) or "like" us on Facebook you would have seen that this past weekend we had a contest to win a Gears of War 3 beta code. We want to send a congratulations to Codie S. who won our contest and received the Gears 3 beta code. We also would like to let you know that we have more contest in store in the coming weeks and months. Read on to see what we have planned. The reviews of Homefront haven't been too kind. Some people are complaining about the graphics, others are disappointed with the length of the game. I know that it isn't a Halo killer, and it didn't blow anyone's mind, but after playing it through and spending sometime playing it online I have to give it my seal of approval. For the sake of those of you that haven't played it, I won't spill too many details, but it gets you into the story from the start. I found myself having visceral reactions to what was happening on the screen. The story is good, maybe even a little too hard to watch at times. I feel that Homefront does a good job of pulling you in, I know I wanted some payback early in the game. Yes, the story is short, but is that such a bad thing? Quality over quantity right? Do you really want long, drawn out missions just for the sake of shooting enemy soldiers? I think the story is just right, it gives you some closure, a sense of accomplishment, but it definitely sets things up for a sequel or DLC. Multiplayer is fun, nothing to write home about, but in my experiences it isn't as full of glitchers or campers as some other FPS are. I'm not the greatest FPS shooter, which frustrates me in most games when playing online, but Homefront is actually fun and I can hold my own. The points you can accumulate also add another interesting dimension to online play. Even if you haven't been pulling your weight, you can always save them up for something big and help out your team in the clutch. And You Thought You Took Too Many Pictures. An MIT scientist has recorded 90,000 hours of his son's first words. Interesting read, check it out. As far as first-person shooters go: Call of Duty pretty much corners the market along with the Halo franchise. Killzone 3 is a great FPS that clearly holds it's own with these titles. 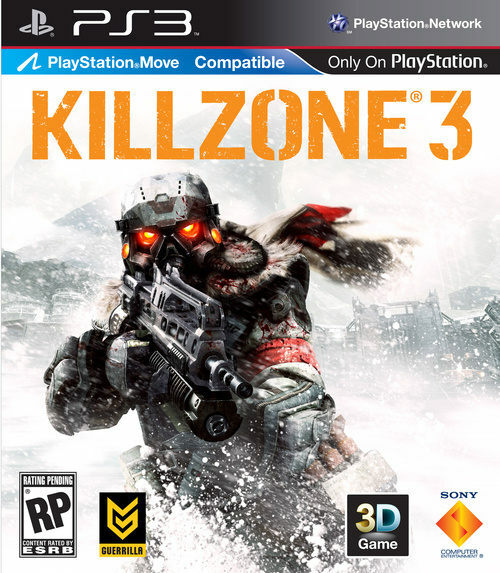 From the massive environments to the spectacular sequences, Killzone 3 is the shooter that PS3 owners have been waiting for. Better late than never, huh guys? So I few big titles have come out in the past few weeks and we are a little behind on the reviews, so today we will play catch up. 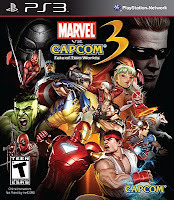 Last weeks big title was Marvel vs Capcom: Fate of Two Worlds. Video game time has been delayed for the past few weeks because my life has been consumed by Dead Space 2. This game has completely taken over my gaming time and it has been my favorite game of the year so far. 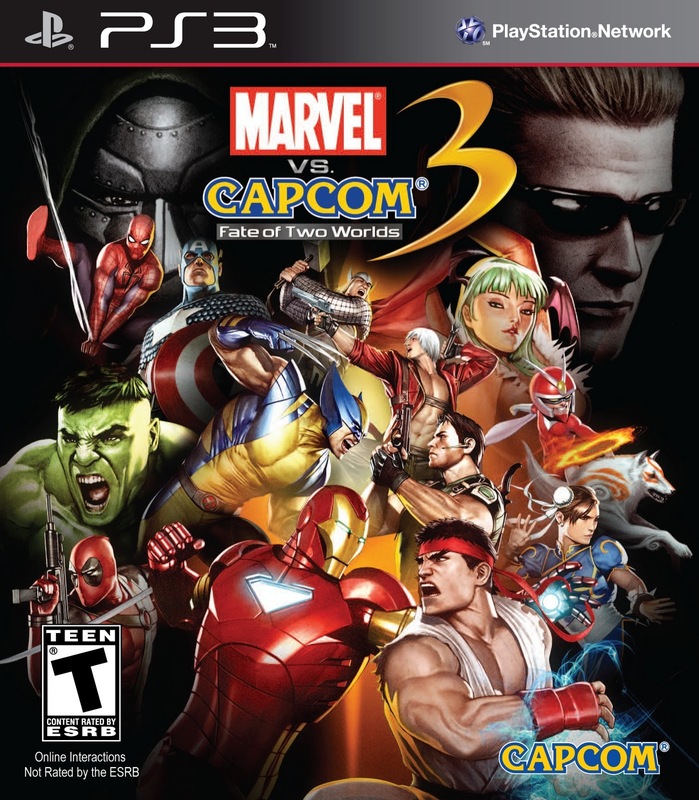 We will be back next week with reviews for Marvel vs Capcom 3: Fate of Two Worlds, which features over 30 playable characters and Killzone 3. Killzone 3 is a title that I have been waiting for ever since I played the beta earlier this year. If you tell me zombies, I'm there. It doesn't matter what the context is, throw in zombies and it just gets a hell of a lot better. Dead Island is, by it's developer, Techland, called a "first-person zombie-slasher/action RPG." All that is know about the game so far it that it takes place on a vacation resort, you play as a preselected character and you skills increase as the game proceeds. IGN has more videos and screen shots of the game so check out their story when you can. Below is the first announcement trailer for the game and all I can say is that the slow piano playing in the background really creates a eerie and tense mood. Watch it and tells us what you think, also check out their Facebook page for more info. Over the weekend Sony officially announced the title to the Spider-man reboot: The Amazing Spider-man. Now while this title reminds me of the only Spider-Man series I actually kept up with I hope it evokes the same heart and soul that the Sam Rami movies did. Why a Fandad should watch the Super Bowl. Updated with trailers!! So, you're a Fandad and you do not follow sports, but want a reason to watch the Super Bowl? Here are a few reasons to watch the big game later this afternoon. The first teaser poster for Captain America: The First Avenger is online now. Click below to see it! 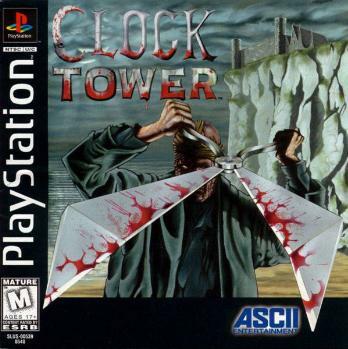 Last time I was really scared playing a video game it when I played Clock Tower on the original PlayStation back in the day. 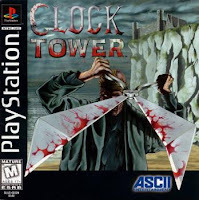 I remember the frustration of trying to run away from the Scissor Man only to have my character fall and then impaled by those enormous scissors. There hasn't been a game that has given me the same type of scare like that one until I played Dead Space on the PlayStation 3. Late last night Sony announced at their PlayStation Meeting 2011 in Tokyo the Next Generation Portable, the much rumored PSP2. While this system is not going to be released until this holiday season, Sony didn't hold back in announcing some new ways to interact with PlayStation along with some new titles for the NGP. It has been a busy Winter for gamers! There were so many hot titles coming out each week that it was hard to keep track of everything that has been released, but today I will try to highlight a few and speak on last weeks big release. So this week we were introduced to the new look of Spider-Man and the first look of Chris Evans in Captain America. While many people may not like the new look of Spider-Man, I for one will hold my opinions on Spider-Man until I see more, but I am just upset that I won't be seeing the combination of Sam Raimi and Tobey Mcguire on the big screen again. Thoughts of an Evolving Fandad. It's a new year. It's that time where everyone makes resolutions, promises or lists of the things that they want to accomplish in the new year. That time of year where everyone wants to start fresh and feel like they're actually doing something positive in their lives. That time of year where we all want a new beginning.